Designed by Julie Cable of Wow Factor Creative Interiors and handmade by Ian Bourne, this was a bespoke commission for clients in Sevenoaks for their new TV/Family Room. 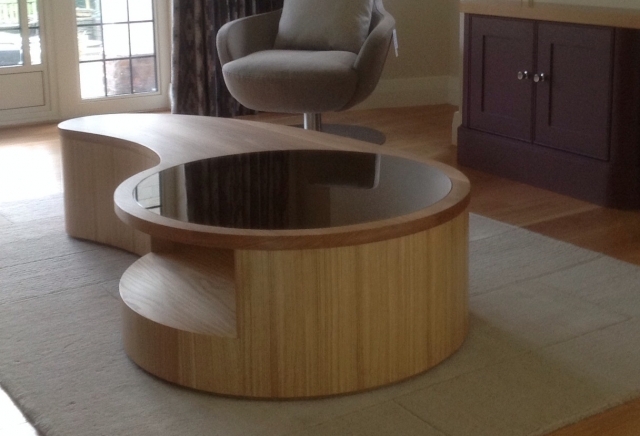 They wanted a large low coffee table with a storage facility that would break up the rectangular shape of the room. The table is made in oak inset with bronze glass, which reflects the light, with an opening for magazines and books. It is finished with a natural matt laquer. 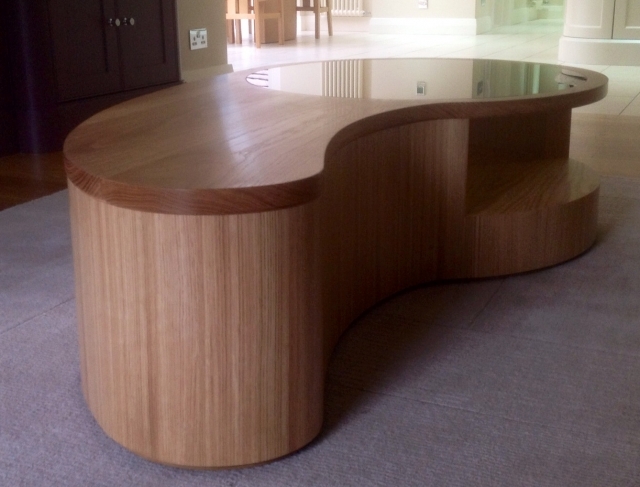 This table provides a truly stunning centrepiece with its curves and flowing lines and adds an interesting dimension to this new room.